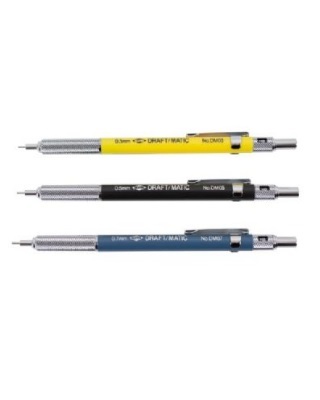 Designed for professionals, these pencils feature knurled stainless steel finger grips, rotating lead degree windows, and cushion points for comfortable writing control and minimal lead breakage. The 4mm long stainless steel lead sleeve supports the lead and provides drawing accuracy even with thick straightedges. Set contains .3, .5, and .7mm.